I am writing to let you know the sad news that Cardinal Cormac Murphy-O’Connor died peacefully this afternoon, surrounded by his family and friends. Please pray for the repose of his soul. Pray, too, for his family, and those many friends and colleagues from the Diocese and far beyond who mourn his loss. Information about the funeral rites for the Cardinal will be circulated as soon as possible. The life and ministry of Cardinal Cormac Murphy-O'Connor. Cardinal Vincent Nichols announces the death of his predecessor Cardinal Cormac Murphy-O'Connor. A poignant reflection from Cardinal Cormac on "a good death". A prayer for the repose of the soul of Cardinal Cormac. 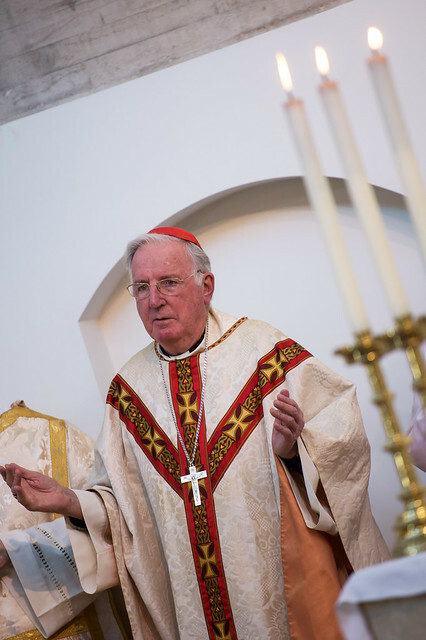 We have a selection of the many images taken of Cardinal Cormac in a Flickr album.